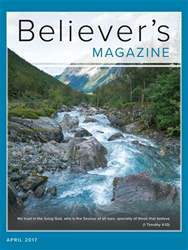 The country of Venezuela has been much in the news lately and, in this issue of Believer's Magazine, missionary Andrew Turkington reports on the work of the Lord in that troubled land. Tan Chee Wei, writing from Singapore, concludes his devotional and practical study of the miracle performed by the Lord Jesus when He fed 5,000 men, besides the women and the children, on the hillsides of Galilee. Bert Cargill's article in the long-running series 'A Goodly Heritage' is about the work done by Dr Barnardo in the latter half of the 19th century. It's not to be missed! 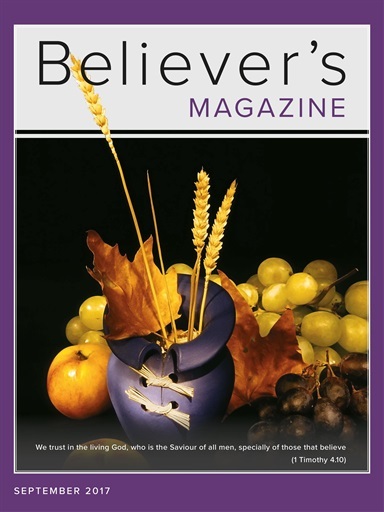 Exposition of local church principles, in addition to Christ-exalting ministry from the Psalms, combines with other helpful studies to provide another full issue of Believer's Magazine for your spiritual help this month.